The prodigious climber of Quick-Step Floors is set to become the youngest rider in the last 15 years to finish the race in the top three. 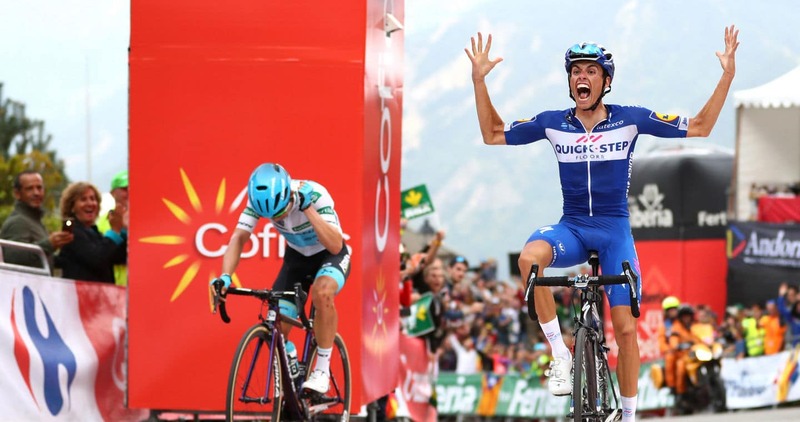 Enric Mas went all-in on the penultimate day of the Vuelta a España, throwing caution to the wind with more than 20 kilometers to go and displaying an aggressive and bold performance on the shortest mountain stage of the race this century, from Andorra. 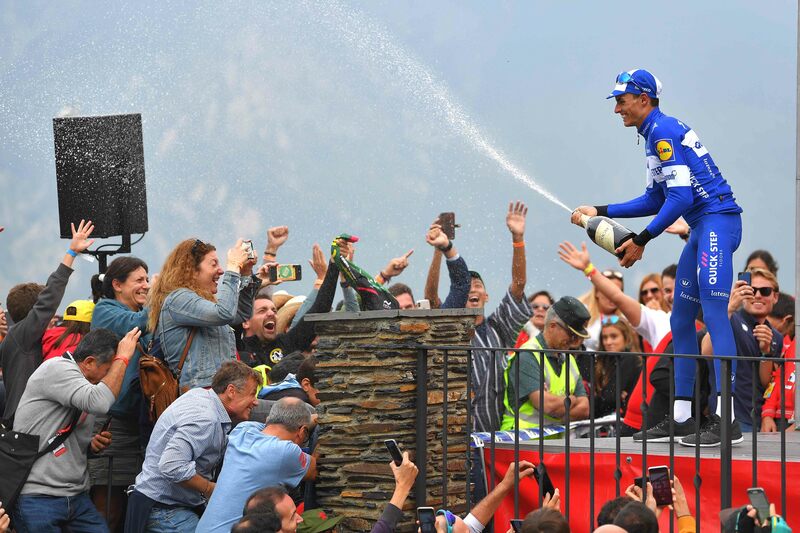 Escaldes-Engordany to Coll de la Gallina, which put on the table an insanely hard course numbering no less than six classified climbs, all crammed in the space of just 97 kilometers, at the end of which Mas stretched his arms and celebrated the most beautiful victory of his career. “I can’t tell you how happy I am to be in the top three, but at the moment I still don’t want to think about this, because there’s still one day to go and only in Madrid I will truly savour this achievement. It’s the first time that I am in this position and hopefully it won’t be the last time. After the penultimate weekend, I began thinking I could finish in the top five or even on the podium, and helped by a great Quick-Step Floors team, I took it day by day and continued to rise in the GC, culminating with this beautiful result, for which I worked hard and made a lot of sacrifices, that today paid off”, said Enric – first rider from the Balearic Islands in over four decades to claim a stage win at the Vuelta a España and the first in 70 years to surge onto the overall podium – after the final mountain showdown.